Home Tags Posts tagged with "Photography Business from Your House"
Did you know photographers make an average of $35,800 annually? More people are realizing that they can turn their love for photography into an income. Selling high-quality photos is another way to earn money from home or from anywhere you choose. Keep reading to learn here how to start a photography business from your house. Maybe you’re sick and tired of someone telling you when to clock in, clock out, when to eat and when to use the restroom, and are ready to fire your boss. Or maybe you want to make some extra money to splurge. If you love taking pictures then starting your own photography business might be the best option for you. First, you have to decide what type of photography you want to do. Do you want to take pictures or landscapes, people, houses, animals, flowers, etc? This is up to you and what you prefer snapping great pics of. People nowadays need professional pictures for anything you can think of. Real estate agents need pictures of homes, businesses need pictures for their websites, people need pictures of their wedding day. Your options are endless. If you are serious about your photography business sit down and write down your business plan. This will help you organize everything on paper where you can come back and revise as needed. Your business plan will be a visual showing how you plan on making money and, ownership, expenses, etc. What will you call your photography business? First, you want to go for a name that’s not taken. Second, you want something catchy that people will remember. The name you choose will become part of your brand so choose wisely. Double check to make sure the name you want to go with isn’t protected by a trademark and also check if the domain is available for a future website. Depending on the type of photography you choose you will want to choose your camera gear accordingly. You might need extra lighting if you’re doing indoor photography or special lenses if you’re shooting landscape pictures. When you’re starting out you might want to consider buying used gear that’s in great condition to keep your costs down. 5. What Will You Charge? When you’re just starting out figuring this out is going to take some research. See what your competitors are charging when coming up with your pricing. Be honest about what you feel your hourly rate is worth. Don’t forget to take into account the editing time after taking the pictures. In today’s world, people will go look through your website before calling you. They want to see what kind of pictures you take to see if you’re a good fit for their needs. You can consider having a collage template for your work to show off your skills. If you choose to build your website on your own make sure you choose wisely because there are myriads of options out there. Don’t forget to include contact information because what’s the use if they love your pictures but can’t reach you. Now that you have learned the basics about how to start a photography business, it’s time to take action. You can immediately put everything you learned above into action today. 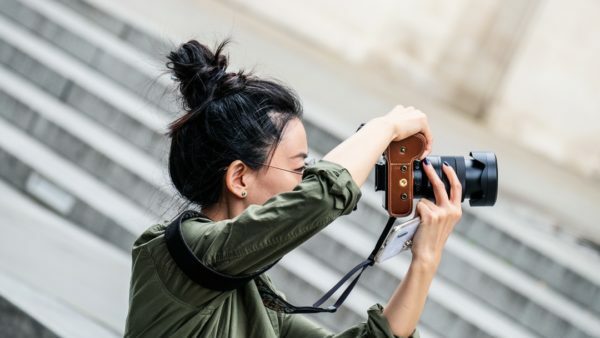 Starting a photography business can be profitable and if you love taking pictures already then this might sound like the perfect plan for you. When it comes to staying in business keeping finances in order is key. Check out our business finance section to stay on top of your own business finances.